Austria’s foreign minister has revealed that she "did not expect" Vladimir Putin to accept the invitation to her wedding. She also rejected the spin that her curtseying after dancing with Putin was a sign of submission. Speaking publicly for the first time since her August 18 wedding to multi-millionaire Wolfgang Meilinger, Karin Kneissl admitted to O1 radio station that Putin's attendance at the "magnificent celebration" surprised her. The Russian leader turned up to the wedding looking sharp in a navy blue suit, carrying a bouquet of flowers for the bride. He also brought along the Kuban Cossack Choir to entertain guests. 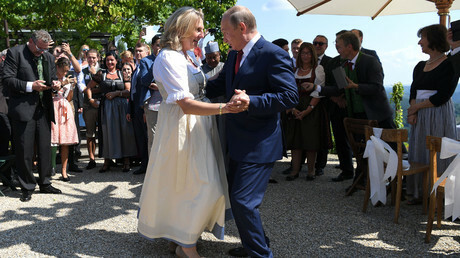 Photos quickly circulated of Kneissl and Putin sharing a dance at the wedding, though some critics suggested that the Austrian foreign minister's curtsey at the dance’s end was a sign of submission towards Putin – a claim which she disputed during her interview. "If you saw the opening of the ball, you can always notice that in the end of [every dance] a curtsey is made. The Russian president bowed earlier and I responded to that reverence with a curtsey...those who know me are aware that I do not obey anyone," she said. Although Kneissl admitted that she doesn't have a close relationship with Putin, she underlined the importance of personal contact "for creating a base of trust in difficult situations, which, no doubt, are present in our relations with Russia due to various reasons." 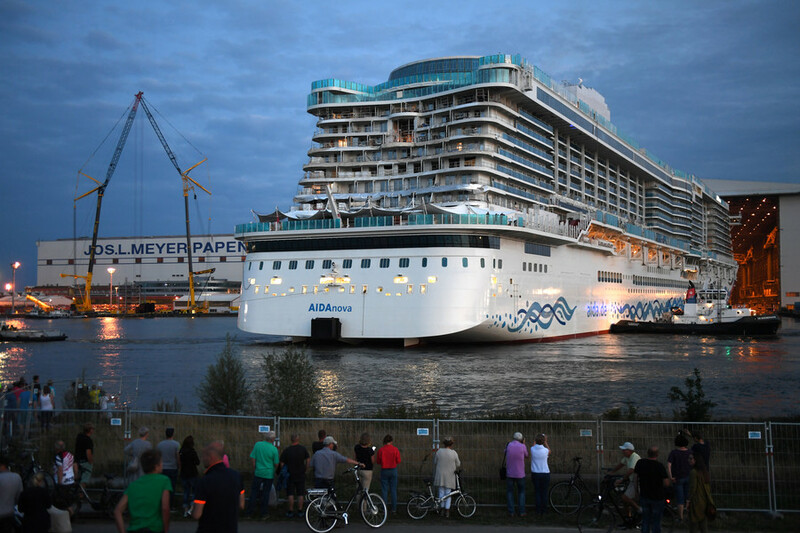 Putin arrived in Austria shortly before the wedding and left after 80 minutes in order to fly to Berlin for talks with German Chancellor Angela Merkel. In addition to dancing with the bride, Putin also joined other weddings guests in signing a Volkswagen Beetle belonging to the happy couple, framing his words with a heart.